(Photo: Light Presbyterian Church)Rev. Hyeon Soo Lim the pastor from Mississauga, Ontario who was detained in North Korea during an aid trip and who made a made a televised confession July 30 admitting to treason, according to KCNA, the official news agency in the country. Those close to the Toronto pastor who has confessed to treason in North Korea seem puzzled at what led to the detention of the preacher who had made more than 100 trip to the isolated communist country. Rev. Hyeon Soo Lim made his first public appearance since he was detained by North Korean authorities earlier this year and confessed in Pyongyang to "indescribable treason" in a televised apology on July 30. Reading from a statement, Lim confessed to activities aimed at toppling North Korea's government and to violating the country's Ebola quarantine policy in February by "illegally" entering the capital, the official KCNA news agency reported. Lim traveled into North Korea from China on Jan. 30 with plans to tend to aid projects established by his church in the northeastern city of Rajin, including an orphanage, a nursery and a nursing home, CNN reported. The pastor for the Mississauga-based Light Presbyterian Church had visited the Hermit Kingdom about 110 times before he crossed into the northeastern corner of the country on Jan. 31 and vanished, The Globe and Mail newspaper reported. Lim's detention came as a surprise to leaders of humanitarian organizations working in the secretive country. The 3,000-member congregation is one of Canada's largest, and has held morning prayers for the pastor since his detention. North Korean authorities said in early March that the pastor from Canada had been detained. "The most serious crimes I have committed are that I severely slandered and impaired the supreme dignity and system of this country and perpetrated a scheme to overthrow the State," Lim read in front of local media. "I deeply, deeply apologize from my heart, for my indescribable treason." Lim said in his confession he had written biblical phrases and the name of his Korean-language church on sacks of food as part of a conspiracy to overthrow the North Korean government and establish a religious State. "The basic purpose that I was so active in the [provision of] aid to this country in the past was to remove loyalty in the hearts of the North Korean people to their authorities," he noted in his confession. Friends and family of Lim had not heard him in seven months. The Canadian newspaper reported that no plans for Lim's release have yet been made public. It noted that in the past, foreigners detained and then released by North Korea have said that they were made to read scripted apologies to gain their freedom. Lim's apology was made at the People's Palace of Culture in Pyongyang, a site of similar confessions by other foreign detainees. "The family and church are eager to have Mr. Lim home after close to seven months in detention," said Lisa Pak, a pastor at the Light Presbyterian Church, delivering a statement from Mr. Lim's family. "There are no comments regarding the charges and allegations made against Mr. Lim except that the humanitarian aid projects that Mr. Lim has both initiated and supported in the DPRK [North Korea] have been for the betterment of the people," said Pak. The Mississauga church had raised $4-million annually in charitable donations and spent heavily in North Korea before the detention of the pastor. 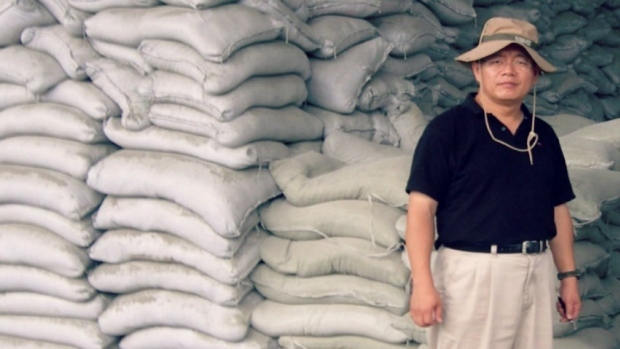 Lim had once travelled through North Korea with relative freedom, having formed connections with highly placed officials. A pastor close to Lim told The Globe and Mail, the pastor may have got too close to a man who fell of the supreme North Korean leader, Kim Jong-un. Lim was said to have ties with associates of Jang Song-thaek, an uncle of Kim's. The North Korean leader ordered Jang's execution in December, 2013. The detention of Mr. Lim came as a surprise to leaders of humanitarian organizations working in the secretive country.